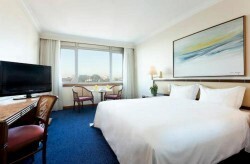 As one of Portugal’s leading cities, there is no shortage of accommodation in Porto to choose from during your stay. Whether you are in search of five-star luxury or low-cost value, modern or traditional, you will not be disappointed with the wide selection of hotels in Porto. 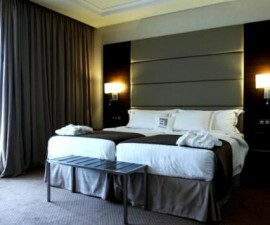 For a modern and sophisticated city centre stay there are plenty of hotels in Porto from which to choose. Opt for the 292-roomed Vila Gale Porto Hotel with its cinema-inspired theme and quality facilities, or the fine, five-star Sheraton Porto Hotel from the leading worldwide hotel group. Just a 10-minute walk from the main shopping and commercial area, both the Vila Gale Porto Hotel and the Sheraton Porto Hotel are highly convenient for all of Porto’s historic attractions. For even more luxurious accommodation in Porto, try the five-star HF Ipanema Park. 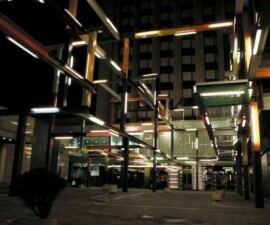 A popular hotel from Portugal’s flagship HF brand, the HF Ipanema Park offers 281 rooms spread over 15 floors, and is home to the Zenith roof top bar, a 15th-floor bar and eatery where the young, beautiful things come to party till late on weekend nights and holidays. Porto is considered the capital of northern Portugal and is a designated UNESCO World Heritage Site for its historical, cultural, and architectural importance. Many of its historic buildings have been renovated and revived in recent years, some returned to their former glory and some transformed into something equally dramatic but none the less attractive for it, such as the Hotel Teatro. The ancient Baquet Theatre was lovingly restored and converted into the Hotel Teatro in 2010 to a flurry of media interest, and has firmly taken its place amongst the leading hotels in Porto. 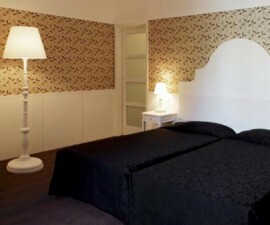 For old-world elegance, there is also plenty of accommodation in Porto. 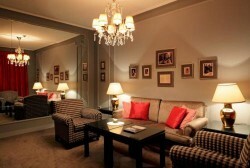 Try the Grande Hotel do Porto in the historic centre, or the Yeatman Hotel on the Cais da Ribeira. Both are very different but are steeped in history, providing a true trip back in time during your stay in this delightful city. The Grande Hotel do Porto dates back to 1880 and has played host to noblemen, royals, spies, politicians, exiles, artists, bohemians and intellectuals, each of whom has left their mark on the Grande Hotel do Porto’s rich history. Over the water on the Cais da Ribeira, the Yeatman Hotel has long played an important role within Portugal’s wine industry. Here food, wine and high-quality spa treatments all combine to make your stay in Porto tasty, relaxing, luxurious and memorable. No matter what you choose to spend your nights while at Porto, we guarantee you will not be disappointed with the diverse choice of hotels in Porto we present here.